McCrary Otts, IV, graduated from the University of Alabama where he earned a bachelor’s degree in Finance. 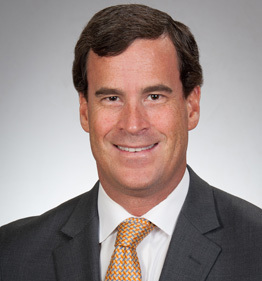 He served as an assistant mutual fund manager in Nashville before returning home to Mobile in 2002 and joining the firm. Since then, he’s delivered outstanding support to clients needing commercial and personal insurance. He holds the Certified Insurance Counselor (CIC) and Certified Risk Manager (CRM) designations. His commitment to Mobile is extensive, and includes his service as president and board member for the Mobile Association of Independent Insurance Agents; board member for the Associated Builders & Contractors (ABC); chamber chase team member for the Mobile Chamber of Commerce; committee member for the Home Builder’s Association of Metro Mobile; and executive for the United Way of Southwest Alabama. He and his wife, Elizabeth, have three children and are members of Spring Hill Presbyterian Church.